Once you've enrolled in Duo you're ready to go: You'll login as usual with your username and password, and then use your device to verify that it's you. Your administrator can set up the system to do this via SMS, voice call, one-time passcode, the Duo Mobile smartphone app, and so on. Two-factor authentication adds a second layer of security, keeping your account secure even if your password is compromised. 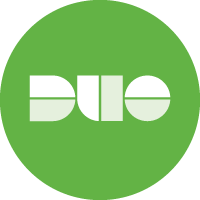 With Duo Push, you'll be alerted right away (on your phone) if someone is trying to log in as you. I am running iOS 8 (or lower) and I am not able to install the current version of Duo Mobile from the App Store on my device. I am using Microsoft Internet Explorer and the Duo Prompt does not display correctly. Would you like to know more? Visit duo.com to learn about Duo's Trusted Access solutions for every organization.